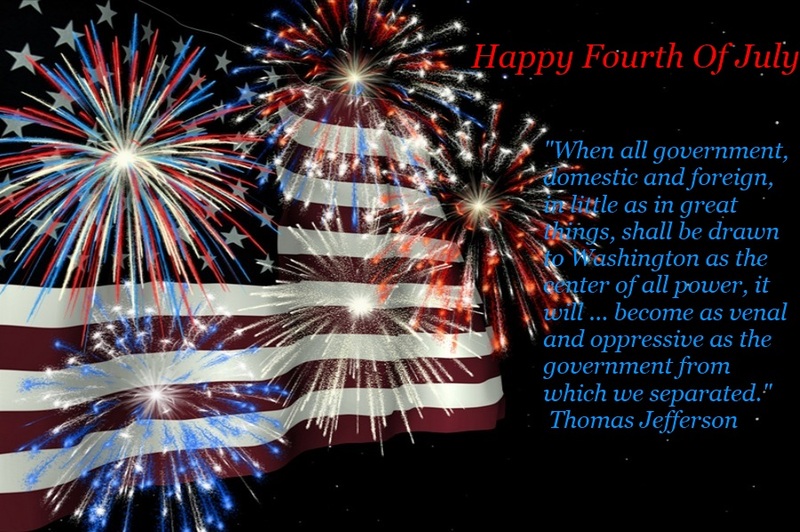 We have watched the parades; we have enjoyed the games in village and town parks; we have watched the fireworks; we have celebrated Independence Day — the glorious July Fourth. Independence means freedom, in this case freedom from the English — sometimes it seems half the world celebrates freedom from the English, even Scotland will be trying next year to throw off London’s yoke. The question to ask ourselves (even yourself, for in three years you, too, become a private citizen) is whether anyone who knows he is bugged can really be free. Will he subconsciously exercise censorship? And those (especially politicians) who are only now aware they too were bugged … are they susceptible to blackmail? Pure conjecture perhaps, but it helps to explain President Francois Hollande’s oddly inconsistent behavior. First, Mr. Hollande was the only European condemning the PRISM bugging program himself directly — the others used spokesmen. Then he turned around and denied French airspace to the Bolivian President Evo Morales’ jet returning from an oil and gas conference in Moscow. Spain, Portugal and Italy followed suit. The plane, stranded, running short of fuel, was then allowed to land in Vienna where it was searched because of a rumor that Edward Snowden was aboard. He was not, and after heated negotiations over 14 hours the plane finally flew to the Canary Islands where Spain had granted landing permission to refuel. Whatever happened to diplomatic immunity, international law and the like in our new post-1984 world? But here’s the rub: instead of just the tabloid press bugging a besotted Prince Charles’ phone calls to his then mistress (now wife), we are more likely to have young contractor employees listening in on a louche Bill Clinton, or even an ex-President’s daughters’ calls to their boyfriends. Who will put this genie back in the bottle? And Julian Assange’s asylum has yet another twist on a Soviet era story. On November 4, 1956, Cardinal Jozsef Mindszenty arrived at the U.S. Embassy Chancery in Budapest and requested asylum. He went on to live there for the next 15 years using the ambassador’s office as a reception area and sleeping in an adjacent room; shameful for the Soviet system then in everyone’s eyes. If only we could see the mirror images now, blurred but barely (and not for want of trying) by context. 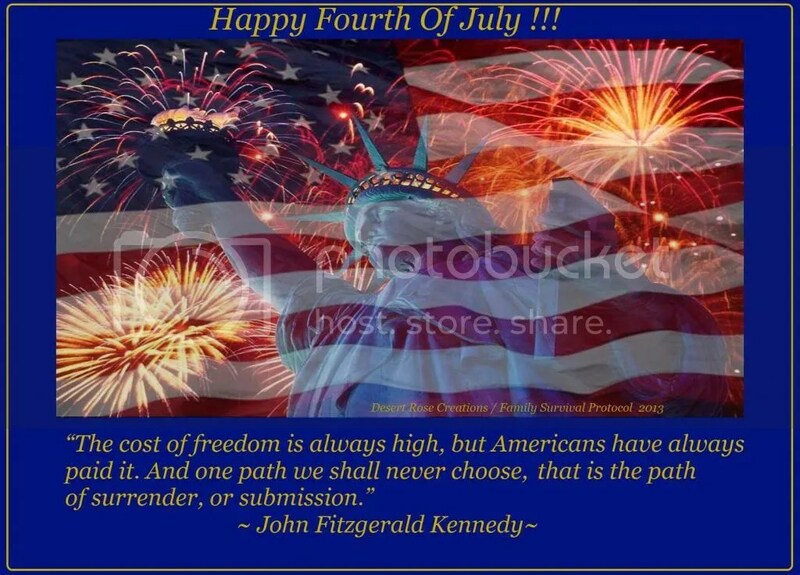 May You All Have A Happy And Safe Fourth Of July !! "It is the duty of the patriot to protect his country from his government."